Swaddling was a necessity for us with each of the boys – it calmed them, it helped them sleep better, and it helped us sleep better. With both of them, though, we never did find a swaddling blanket we loved. They were all too small, making it hard to create a swaddle that the boys couldn’t wriggle out of. If only I had known about aden + anais then! I’ve since discovered their muslin swaddles, and oh do I love these! I first saw them when my friend Amanda used one on her daughter, and it was love at first sight. 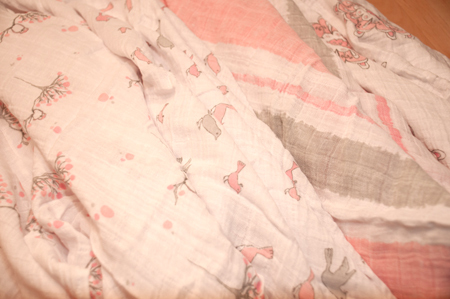 aden + anais provides soft swaddles and fashion-forward prints that provide style and function. I know being in Texas I’m especially excited to have blankets made of lightweight material – even in September, when I’m due, it can still be insanely warm. 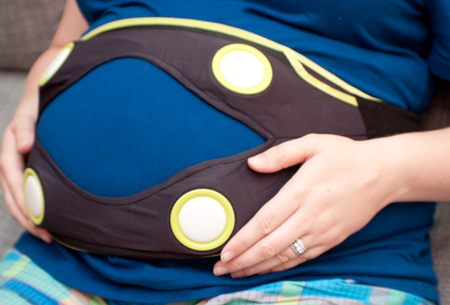 The breathable fabric allows a baby’s body temperature to regulate itself naturally, helping to reduce the risk of overheating (and keeping baby safer). Aside from the quality of the material used, the prints themselves are seriously darling (and that’s a word I very rarely use, so I really mean it. These are darling). I received the “For the Birds” set, which has four different patterns – owl in a tree, birds, paint stripe and medallion in the colors pale pink, peony pink, silver grey and slate grey. The fabric is soft and airy, and I can’t wait to use these in September! Huge, right? 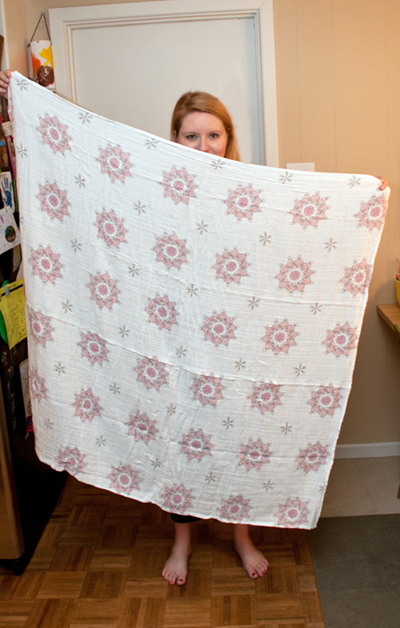 The swaddles measure at 47″x47″. I love this aspect. And because the fabric is so lightweight, you don’t have to worry about the swaddle being too bulky with all of that fabric. It has a good amount of stretch to it, too, which is key in getting a good, tight swaddle. 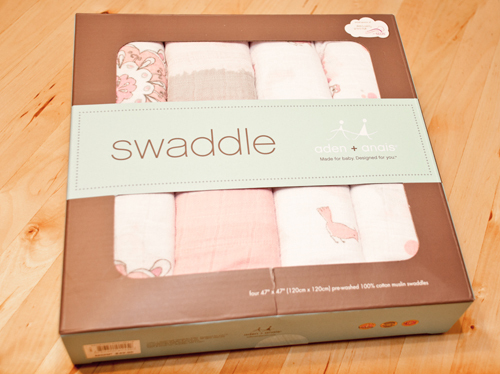 The 4-pack of swaddles sells for $49.95, but you can also buy 2-packs or single swaddles. 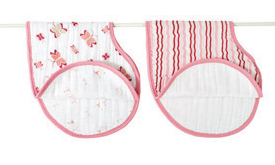 Burpy Bibs – these look GREAT for burp cloths. 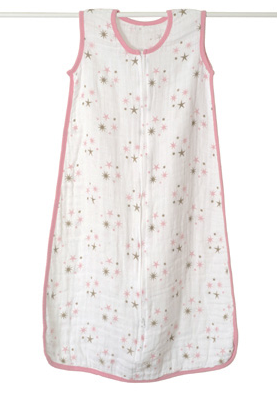 Sleep Bags – We had a ton of these for the boys, but having them in breathable muslin seems like it would be perfect! Note: I received a pack of swaddles to facilitate my review. I was not compensated monetarily for this post. All opinions are honest and are my own. Have a pack for my baby & love them. So useful!! These are adorable and so big. I can remember having the hardest time swaddling my kids because the blankets just weren’t big enough. 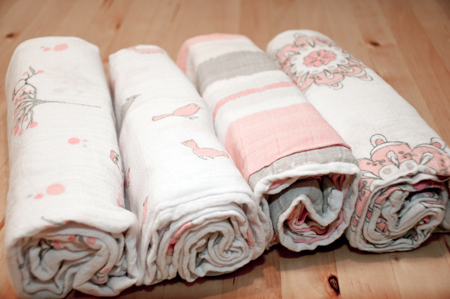 Totally LOVE these swaddle blankets! Baby Rea sleeps SO good in them. :) I had no idea they did sleep sacks! I’m going to have to check those out! I was a gifted a 4 pack of the swaddling blankets for Little Miss and OMG! LOVE! We keep one in the car at all times to throw over the stroller to block out the sun, or over her head to keep her dry from sprinkles while we run from car to store or whatever. LOVE them! My kids never liked to be swaddled. But maybe it’s because I was horrible at swaddling. I love that fabric though! I would LOVE one of their dream blankets for my youngest! I bought my sister some of the swaddles — though she isn’t expecting! LOL! I wanted to be prepared! I adore this brand…they are my fav blankies w/ P! I love aden and anais swaddle blankets. They are so soft and are great for swaddling during the hot summers.